To protect cattle from Diptera insects in pastures and farms during their active summer. Provides protection from insects up to 5 months - for the entire pasture period Contains active substance piperonyl butoxide, which blocks the insect defense system, thereby strengthening the actions of the remaining components. Slaughtering animals for meat when using the Flyblock tag is allowed without restrictions. As an active substance of the preparation, the Flyblock insecticide tag contains s-fenvalerate, piperonyl butoxide. Mechanism of action: s-fenvalerate - a synthetic pyrethroid, which has a pronounced insecticidal and repellent activity against Diptera insects, including horseradish, gadflies and zoophilic flies (room, field, autumn zhigalki, small cowhide), lice, withers, sarcopthoid and ixodid ticks. Piperonyl butoxide improves the penetration of s-fenvalerate through the cuticle of the insect. By blocking insect defense systems, it enhances the insecticide-repellent activity of the tag. 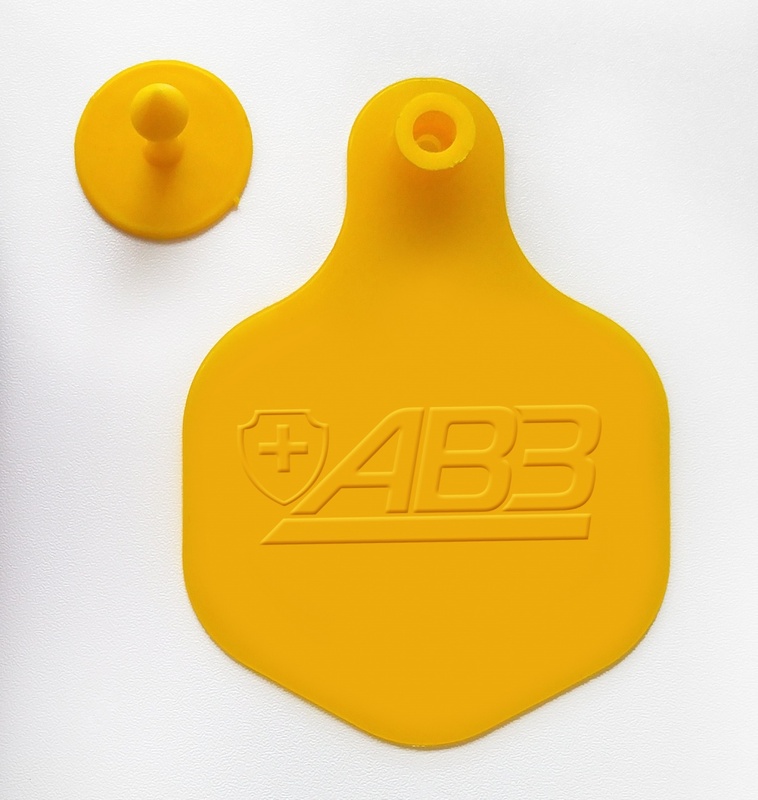 The flyblock insecticide tag is used for cattle to protect against Diptera insects in pastures and farms during their active summer. Contraindication to use is the individual hypersensitivity of the animal to the components of the drug. Flyblock insecticide tags provide protection from insects up to 5 months. Flyblock insecticide tags are supplied to the entire herd of animals at the beginning of the season before the formation of the insect population. It is enough to fix one tag on the animal's ear, with a high number of flies - on the tag on each ear. - Press the applicator handle sharply and until it clicks. The correctly installed tag is firmly fixed. The loss of a tag to an animal is the result of its poor installation. In the event of loss of an animal insecticide tag, a new tag can be inserted into the hole left by the previous tag. It is not recommended to fix the tag on thick areas of the ear, in the area of ​​passage of large vessels. Flyblock insecticide tags are removed at the end of the fly activity season and before being sent to slaughter. To do this, cut off the pin of the fastener. Flyblock insecticide tags are safe when used in stalk and lactating animals, as well as in young cattle. Slaughter animals for meat is allowed without restrictions. Flyblock insecticide tags should be removed, before being sent to slaughter. Milk is allowed to be used for food without restrictions. Side effects and complications in the application of Flyblock insecticide tags in accordance with this instruction, as a rule, is not observed. The drug is stored in a sealed manufacturer's packaging in a dry place, protected from direct sunlight, away from food and feed, at a temperature of 2 ° C to 25 ° C.